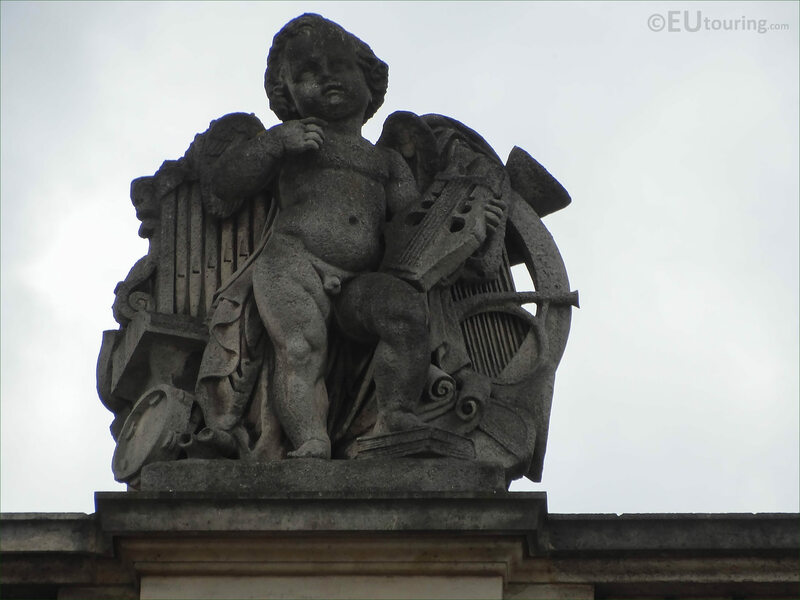 We were in the 1st Arrondissement of Paris at the Musee du Louvre, when we took these high definition photos showing a statue called La Musique, which was sculpted by Louis Elias Robert. 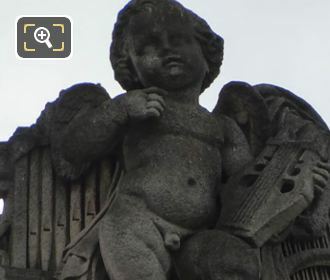 This first HD photo shows the statue of La Musique, which is an allegory depicting Music, as you can see from the different instruments such as a bugle, pipes, tambourine and a traditional lyre that the mythical young child is holding in his left hand. 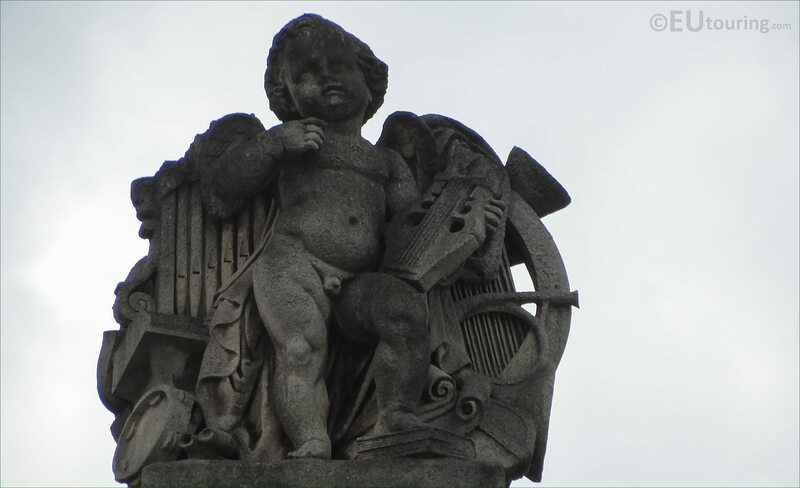 So here you can see a close up of The Music showing the detailing that went into producing this stone statue, which was by Louis Valentin Elias Robert, who was born in Etampes on the outskirts of Paris in 1821, and studied under David d'Angers and James Pradier to become a French sculptor. 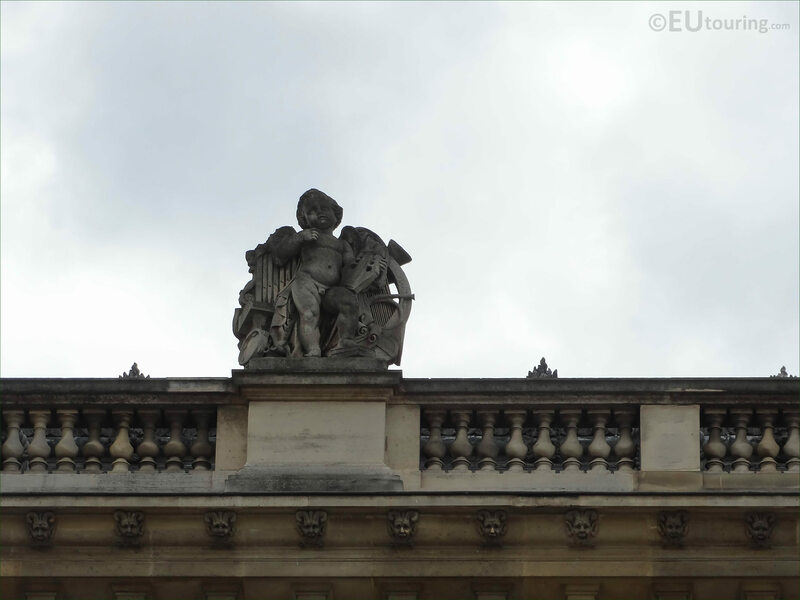 Louis Elias Robert had a prolific career receiving numerous public commissions for statues and sculptures to adorn different tourist attractions including no less than seven for the Palais du Louvre, along with others for the Gare d'Austerlitz, Arts et Metiers, Fontaine Saint Michel, etc, yet many of his works are now held within a museum in his home town. 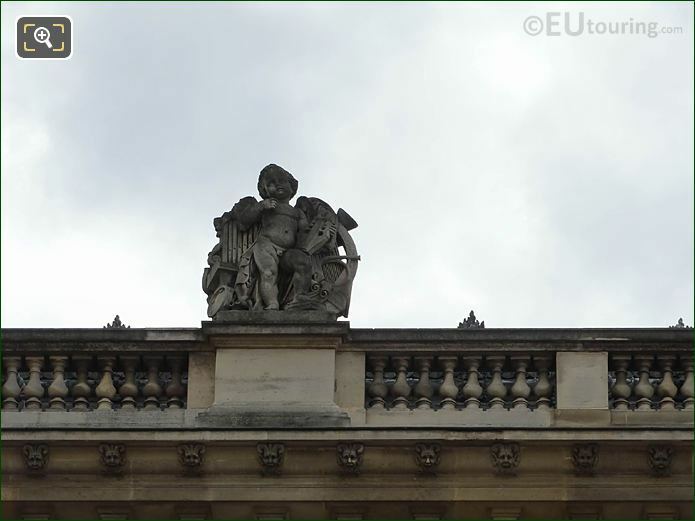 Yet here you can see that La Musique statue is positioned on the balustrade by the roof line of the Aile Mollien, and when you are looking at this facade from the courtyard of the Louvre Museum called the Cour Napoleon, you will see that this is the fifth statue from the left hand side.